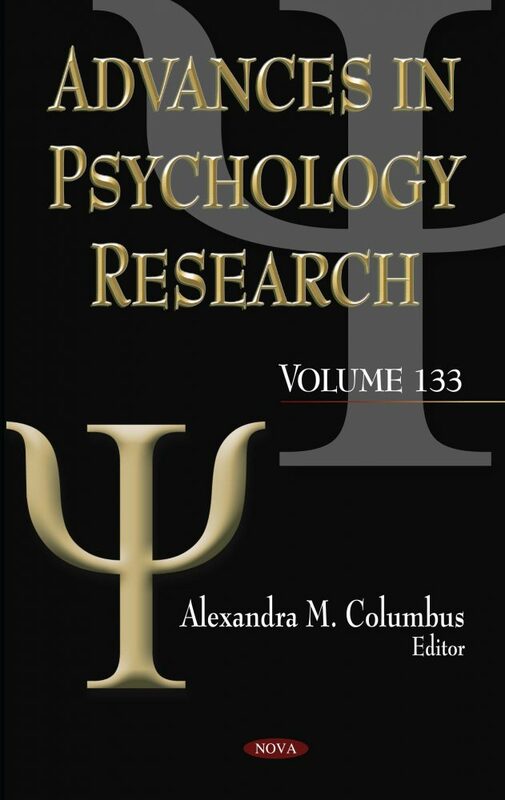 In Advances in Psychology Research. Volume 133, the authors argue potential benefits of information incompleteness as stimuli, made possible by autonomous reduction, for designers’ creative imagination. This paper reports on a study conducted using a French Rococo clock made in eighteenth century as a prompt. In a subsequent paper, human emotion factors were assessed for a sample of 291 Yoruba-speaking students with a questionnaire administered in Ibadan metropolis. Next, several previously research studies regarding the reasons why people commit fraud are examined in order to summarize what research has discovered about the motivations of fraud perpetrators. The authors suggest that the reason is not as simple as greed. This book includes a paper which investigates the effect of Fear of Negative Evaluation on oral performance among third year students of English specialised in Language Science and didactics at Bejaia University. To draw their conclusions, the authors used a mixed-method approach based on both quantitative and qualitative research methods. This compilation also discusses Article 12 of the United Nations Convention on the Rights of the Child. Article 12 makes explicit reference to children’s right to say what they think about matters relating to the quality of their lives and to have these opinions taken into account in accordance with their levels of competence and maturity. Detailed recommendations for effective culturally relevant policy initiatives and optimal strategies are offered. Going in a different direction, the following chapter discusses how the composition of gut microbiota is dependent upon many factors, including the method of birth delivery, maternal and neonate antibiotic use, diet, genetics, infection, postnatal stress and maternal care, and formula feeding in place of breast-feeding. The authors suggest that targeting the gut microbiota composition as a form of treatment for psychiatric disorders may be the next step in mental health care. After this, a chapter is included which is focused on the relationship between internal auditing, psychology and fraud, which is shown to be an almost empty research and practice field. Therefore, the general role of internal auditing within the corporate governance (in particular, anti-fraud control) and the present level of psychological knowledge among internal auditors are discussed. Recommendations to further strengthen the effectiveness of internal auditing will be given. The final chapter suggests that the behaviour of parents, consciously or unconsciously, can influence their child’s expectations, perceptions about their abilities, performance, and duration of participation in sports. Parents can also influence the satisfaction that a child can gain from a particular sport activity. Chapter 4. Searching for the Holy Grail of Respect and Dignity: How Are the Children?